Video file is too large for email (10-50MB) or for uploading to WhatsApp (max 16MB), Facebook (max 1.75MB), Vimeo (500MB/Week), as is often the case, for most video sharing sites have maximum file size and duration of a video file. Singling out a free video compressor that saves your money and energy is a right way to go. I sorted out some freeware to compress videos like MKV, AVCHD, MP4, AVI and other large-sized videos with a brief breakdown of their pros and cons to help you make a well-informed decision. #1 Best Free Video Compressor - Reduce Videos to 90% Smaller with No Quality Loss! A 100% free video compressing tool is recommended - macXvideo (or Windows Version). Its advanced compression engine can shrink a video size by 90% smaller. Plus, it also ensures the fastest speed and excellent quality thanks to built-in High Quality Engine, multi-core CPU, advanced hyper-threading and hardware acceleration tech. See, it can compress MP4, MKV, MOV, AVI, AVCHD, 4K, 8K, to FLV, WMV, 1080P, 720P, etc. much smaller-sized file fomats or resolution (180+ video & 14+ audio output formats) and stunning parameter settings adjustment (Bit rate, frame rate, resolution, etc.). 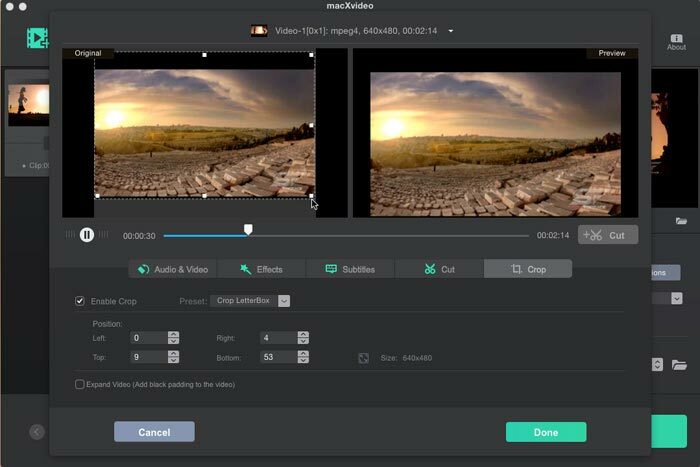 The video editing features further shrink the video size: crop video bars or unwanted black parts; trim video to cut off the needless video clips to get the desired video length, add or extract subtitles from video, etc. All these tasks will be achieved in mins or even secs, Intel QSV/AMD/Nvidia hardware acceleration improves the speed up to 5X faster than any other compressors. Follow the steps below to reduce video file size. Step 1: Free download the video compressing software Mac version. Run it and hit "Add File" to load the video file you wanna shrink. Step 2: Select the output format. For example, if you want to compress MP4 file size, you can select smaller-sized FLV or WMV as output. Based our test, the free video compressor shrinked a 490MB 4K MP4 file size to 28MB HD FLV video in 1 minute and the output video was great. Tips: You can adjust video settings like resolution and bit rate to downsize the video file. It is recommended to decrease the default bit rate by 20-50%. Video demensions also influence file size greatly. For example, 3840x 2160 (4K) will have more horizontal lines than 1080P, and therefore large space to store the extra information. For regular users, 720P and 1080P are good enough. Please note that uncompressed audio will make a difference in video size. If you're not a devoted audiophile, adjust the audio bit rate if necessary. Step 3: Beyond format and video settings, you can also reduce the file size via its excellent video editing feature. Click the editing bar below the video information to enter into the editing window. Specifically, you can trim off unwanted parts, get rid of the black bars, etc, in such a way, the video can be reduced, even without compression. See detailed video compress tutorial on Mac. Step 4: Hit "Browse" button to save your reduced video file. After you've shrinked video file size, click "RUN" button to start to bring down video file size. Windows PC users, please stay here to free download this solid video compressor for Windows to reduce video file size for YouTube, Facebook, Vimeo, Email etc. on Windows with good quality. 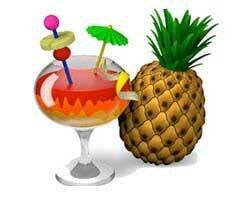 Handbrake is a well-known open source and free to use software in the field of free video compression. It works on Windows, Mac and Linux. 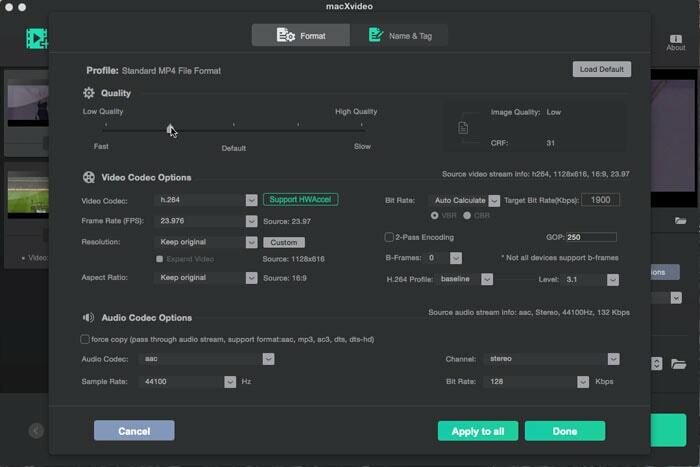 Serving as free video compression software, the tool supports AVI, MP4, MKV, WMV, M4V and more large files, and even supports bulk video compression. Meanwhile, You can use Handbrake to add subtitle, or convert videos, like AVI to MP4 conversion. This open source video size converter has many more advanced features enabling you to change the level of compression, ranging from the bit rate, frame rate, codec, audio track, to resolution. It also has the profiles settings for different devices, incl. iPhone, iPad, Apple TV and Android, letting you adjust output parameter settings for your various devices, yet in a simple one-click manner. But no rose is without thorns, the output quality may be messed up or sometimes video and audio are out of sync and users complained that the file size got even larger after video compression. 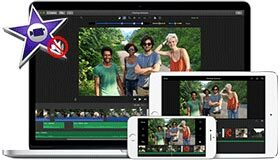 For Mac users, iMovie can serve as a free video compressing softwrae. The video compression process is pretty easy. Create a project > drag the footage into the timeline > click upload button to export the video. Select File to save the video on computer. Here you can compress videos to 4K, 1080p, 720p and 540P with final sizes for each resolution clearly labeled. With iMovie, you can't select the output format or adjust the video settings. Accroding to ou test, iMovie is able to compress a 340MB 4K video to 54.9MB 540P, delivering a compression ratio of around 83%. This program, allowing to compress large video files for free, is only available on Windows Me, XP and Vista. Users who are looking for free video compression software for Mac have to switch away. To compress videos freely is pretty easy - only one step of importing the video into the freeware once you open it. If quality is what you concerns most, Windows Movie Maker will be the most suitable free video compressor for you as it is praised for outputting video almost the same, owning to the optimization of the compression for the computer. But you have to be tolerate of some problems with WMM, such as frequent crashing and confusing versions of WMM. 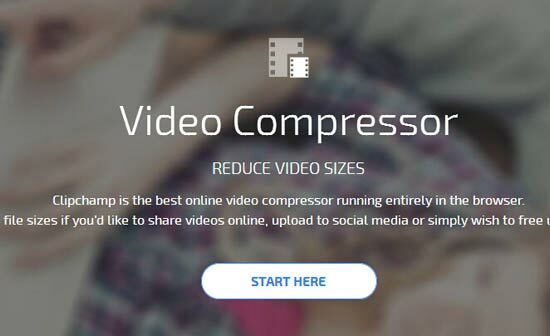 True to its name, Free Video Compressor helps to reduce video files to a smaller size in one click. 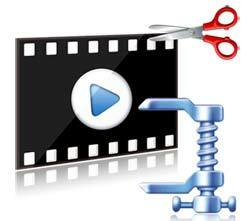 The tool supports almost all video formats, such as MP4, MTS, AVI, FLV, M4V, WMV, MOV, MKV, etc. You will select the desired video size and audio quality, choose the video compression rate ranging from 10% to 90%, with the available compression options, alter bit rate and more with the available compression options. Video trimming and aspect ratio, e.g. from 4:3 to 16:9, are also supported with the free and lightweight video compression software. Clipchamp is a limited free online video compressor. It requires register and only exports video in 480p for free users. 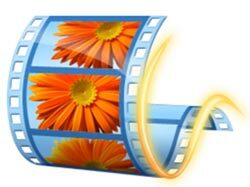 The free video shrinker online application can compress MP4, MKV, FLV, WMV etc. commonly used format. It reduces video file size by lowering video quality, resolution and changing video formats. The free video compressing process can take a long time, for example, according to our test, it nearly took an hour to compress a MP4 video online. Note: Theoretically, the compression process will decrease the original video quality. But better than many other free video compressor, MacX Video Converter Pro can guarantee you great output video quality. Besides, it provides a professional solution to make photo slideshow, record screen activity, download HD YouTube videos music, movies, TV shows and many more. 4K UHD video is four times the file size of 1080p. Get the top-rated 4K video compressor that is able to handle compute-intensive 4K UHD video processing and compression speedily with low CPU usage. Handbrake offers settings to cut down video file size with good quality. Here's how to use Handbrake to compress large video file size. Handbrake settings are not complicated once you get hang of it. The maximum size WhatsApp accepts is 100MB. You video can be easily over the limit. Follow our guide to reduce video file size for WhatsApp with the best possible quality. macXvideo offers you the simple yet all-round way to compress and reduce video file size to MP4, AVI, FLV, WMV and more smaller-sized formats. Losslessly compress video files with parameter adjustment and video editing features.